So why does this topic keep coming up? Are people feeling disorganized? What’s the difference between having business systems and what your business does today? Is it really the system, or the fact that it’s documented, teachable and measurable? 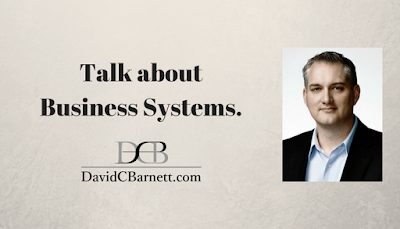 Let me tell you the story of a system used in my business today and about a process and tool that I created for a business over a decade ago. 3. and let me know at dbarnett@alpatlantic.com and tell me if you want a real or virtual ticket in May. Offer is OVER on Jan 31, 2018.